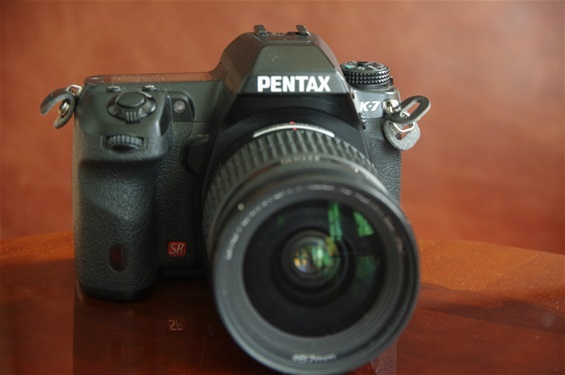 After a slow entry into the digital world, with the *ist D followed by the promising K 10 D and K 20 D series, another new step was taken with the K-7 in 2009. 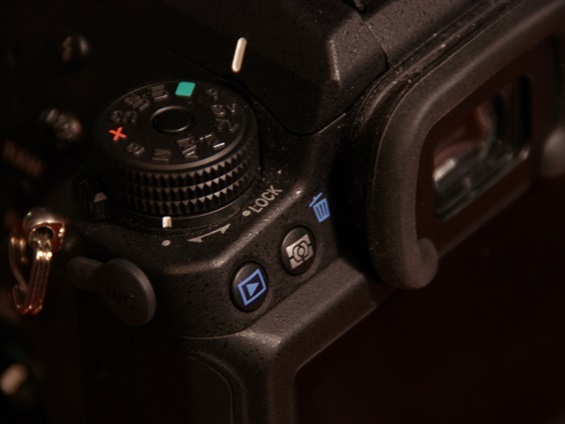 It was the same sensor as on the K 20D, but most of the rest was renewed. Most of all the body, which was made even more compact: from 141,5x101x70 to 130,5x96,5x72,5. And weight was reduced by some 40 grams to 670 grams empty. The K-7 was given very positive remarks for image quality. Dark conditions could leave some noise, though. More compact than the predecessors. AF, called SAFOX VIII+, was faster than K 20D, but still lacking the edge towards other top models. Recognizable from the K 10/20D. Green button is moved to the back, while over/under compensation and ISO buttons were moved up. Added video mode for the first time. Redesigned control panel with a bigger LCD screen, 3 inch 921.000 pxls. DA 17-70 AL (IF) SDM of 2008. Optically very good, but the SDM here is known for a hunting AF, especially at 70. Can sometimes drive you mad. Sn. 6409527. 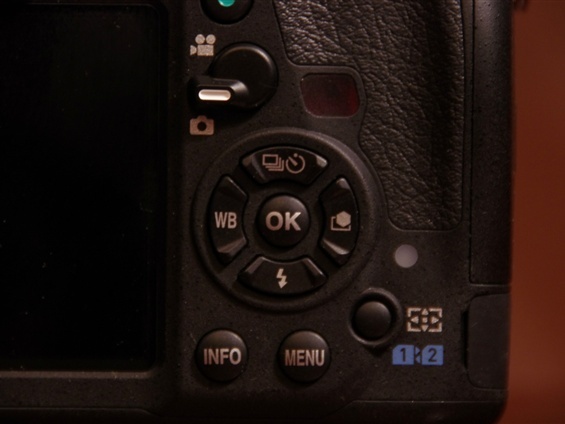 The K-5 of October 2010 introduced a new Sony CMOS sensor of 16,3 megapixel. The image quality was highly praised. Following the K-7 in body and most functions. Improved AF with SAFOX IX. 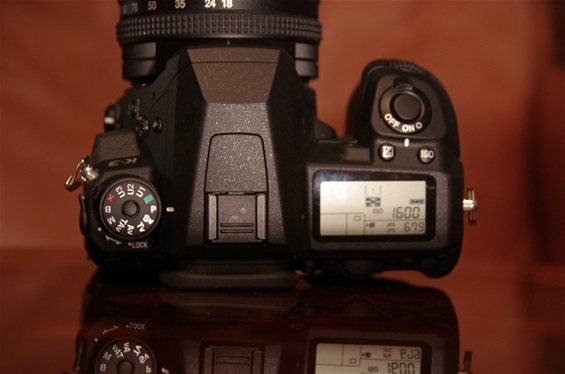 The K 5 was almost identical to K 7 on the outside, but came with a new CMOS sensor of 16,3 MB that was judged to be even better tuned than the one of the Nikon 7000 released at the same time and using the same Sony sensor. And the ISO value reached 51 200, with tolerable results up to 12 800. The K 5 nearly got the Camera of the Year award. 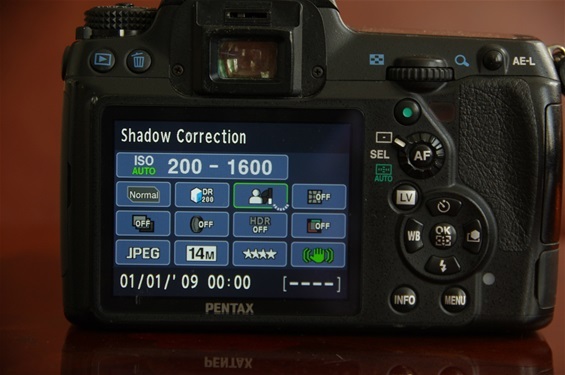 It might very well have won it, but that may have been too much for the jury as the new Pentax 645 D won the title in the Pro Camera division. Size: 130,5x96,5x72,5. Weight: 660 grams. Sn: 4300623. 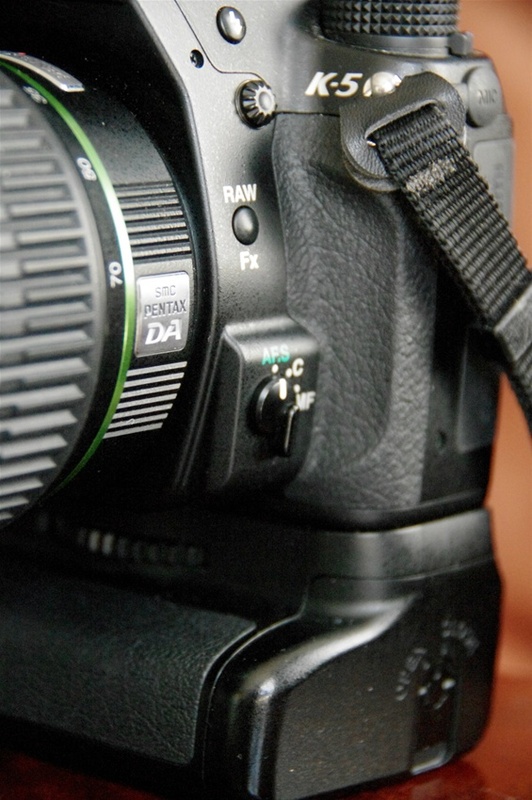 Following a well functioning pattern, but adding a new function: the RAW button is customized, giving a variety of functions, such as meter bracketing. Controls identical to the K-7 both on top.. 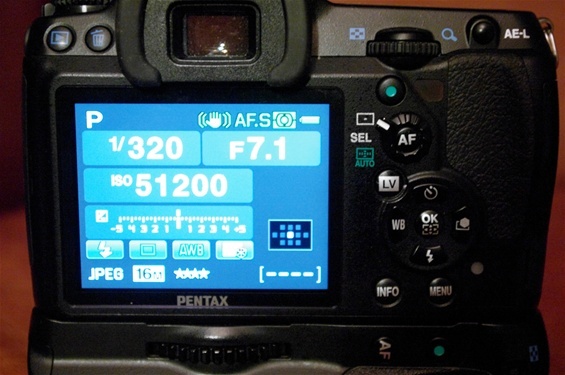 The same LCD screen as on the K-7, with 3 inch 4:3 size and 921.000 pxls. But ISO was now up to 51.200, and generally the noise problem of the K-7 was solved. From 2007: A DA 18-250 3,5-6,3 EV AL (IF). Surprisingly good for the range and the price. Sn. 9082658. 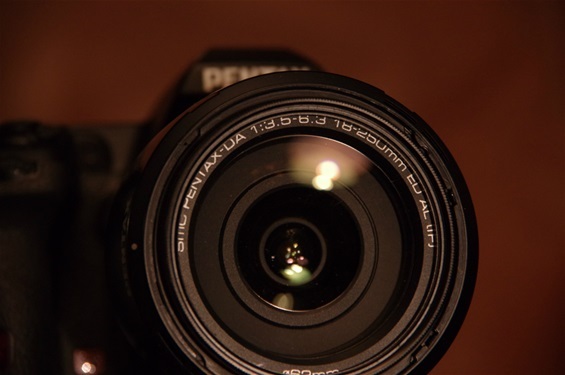 2013: K-500 as new entry level camera, less advanced. 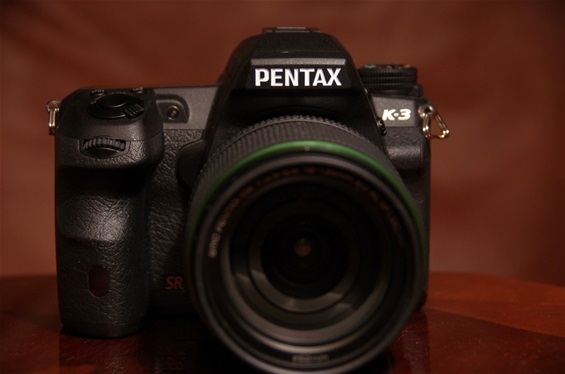 On October 8th 2013 the new Pentax K-3 is announced. Less than one month later it is in my hands. -A 24 MB sensor versus 16 MB. -8,3 frames per second versus 7 f/s. -EV-3 to 20 metering system with 86.000 pixel sensor. -3,2 " LCD panel in 3:2 size versus 3" 4:3. -92 weather seals versus 72. Fore more details, see under. 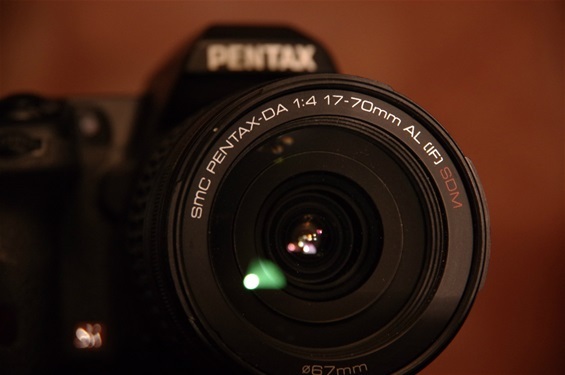 Another step for Pentax, now up to 24 mp on an APS-C sensor camera. 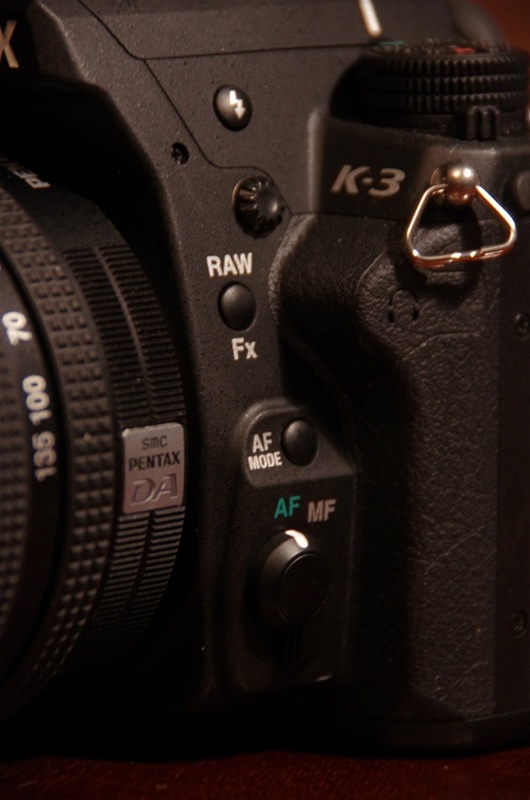 As on the K-5 IIs, the Anti Alias filter is removed, but on the K-3 you still have the opportunity to remove moire through internal SR, a system not available on other makes. This combination of more pixels and no filter gives even higher resolution and sharper big prints. But critics fear it will also tend to produce more noise. My experience, so far, is that it ain't necessarily so. Compared to the K-5 it follows pretty much the same line. AF is far better with the new SAFOX XI. Even under dark conditions it it gets it right. Ergonomics feel even better. 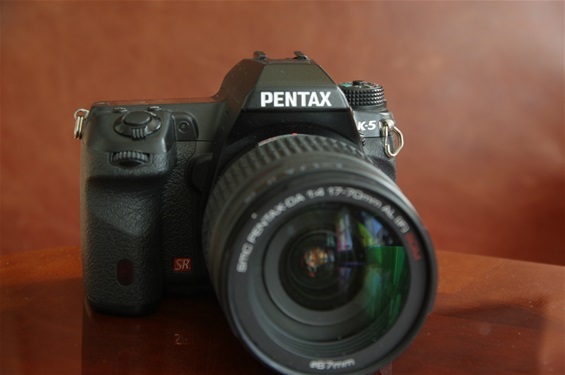 My Pentaxes have all been good in that respect, and the K-3 feels perfect even before I have tried it with the battery grip. 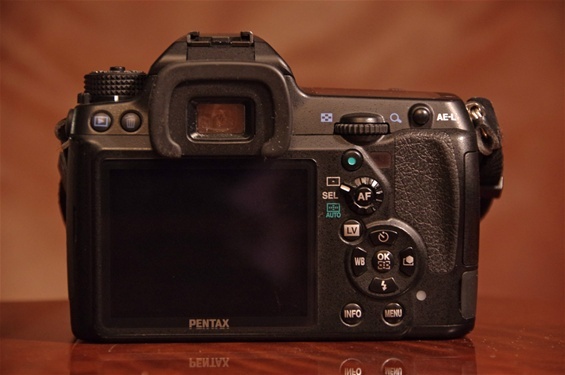 So, in short, this is the best picture machine Pentax has ever made. 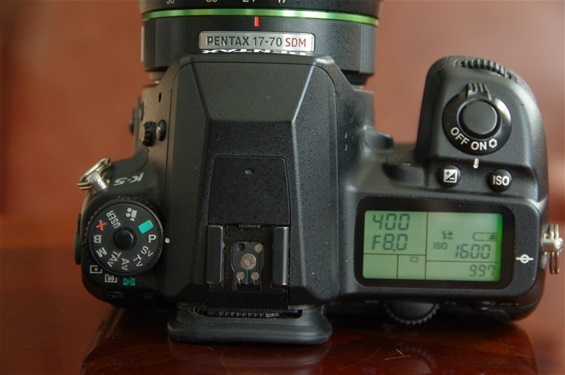 For those in need of a camera to shoot fast and get it right, this is the one. For those spending hours to seek the ultimate subject to take the ultimate picture, the technicalities of any camera has little to do with it. Size: 131,5x100x77,5 mm. Weight: 715 gr nto, 800 gr with card and battery. Sn. 4829143. 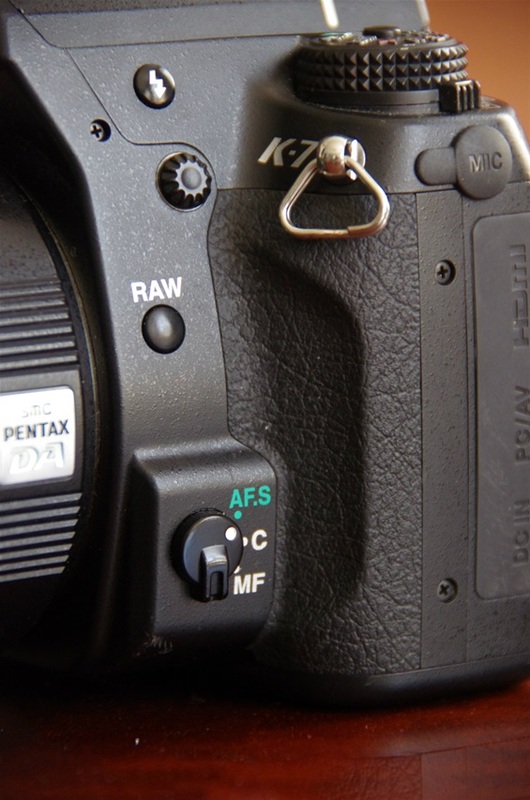 Some changes from earlier types: The AF switch has two options: AF or Manual. 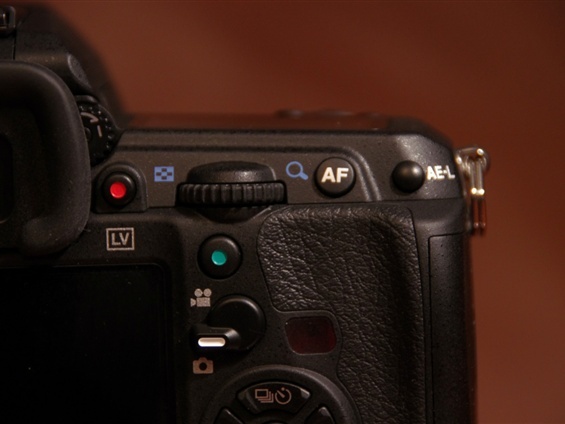 AF mode is operated by a button that lets you into a menu to choose AF mode with the rear dial at the upper back. Controls on top are as before, except the new User mode options. Used to be one, some others have two. K-3 has three. The rear LCD panel have increased a bit, from 3 inch to 3,2. More important is the change in format, now following the 36:24 (3:2) format of the 35 film. The information panel gives everything you would need to know. And yes, it says Ricoh under the panel. Annoyingly clear. 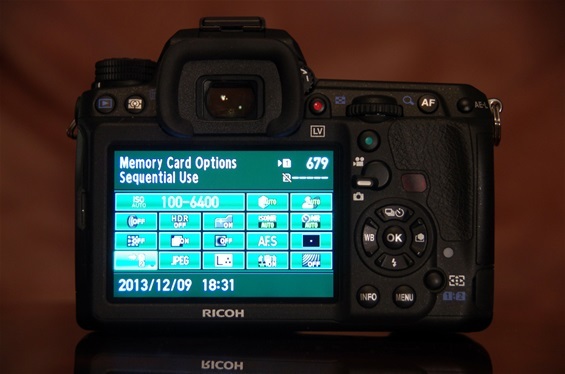 On the other hand: Ricoh deserves the credit for taking up the struggle against The Big Three: Canon, Nikon and Canon..
A red button to open Live View. A handle to select still or video. 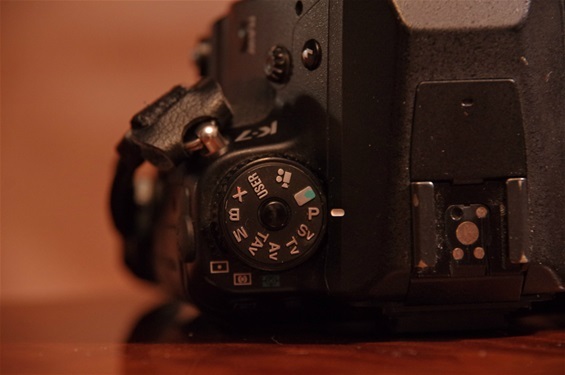 A button to select memory card 1 or 2. Released as Weather Resistant in 2013: the SMC DA 18-135/3,5-5,6 ED AL (IF) DC WR. A sharp lens with a practical range. Will soon become your favorite zoom. Sn. 9003760. 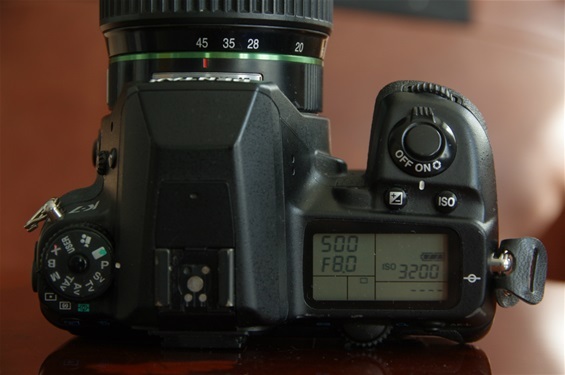 Shutter & Aperture Priority (TAv), Metered Manual, Bulb, X-Speed, USER (3 presets). - All include gamut radar and fine adjustment of saturation, hue, high/low key, contrast, and sharpness (regular and fine adjustment scales). All in all, the K-3 is a small step ahead of K-5, leaving K-7 way behind. I feel K-3 ergonomics a a small step up from earler Pentaxes, being very good already. 9,4. User interface is better than on K-5, with faster LV and video access. 9,2. Noise is hardly more noticable on K-3 than on K-5. 9,2. Or rather 9,0 for both. In general, K-7 is rated too low. K-5 was a step up from K-7, mostly due to less noise. Points are too low for K-7 on build quality (9,6), user interface (9,0), features (9,0), and image quality (8,8). Which gives the following points: 59,5 - 64,0 - 65,6. (Or average: 8,5 - 9,1 - 9,4). 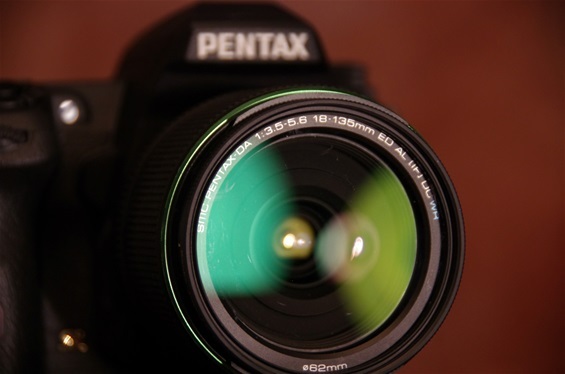 The Pentax K-S2, winner of TIPA prize 2015. APS-C advanced range.